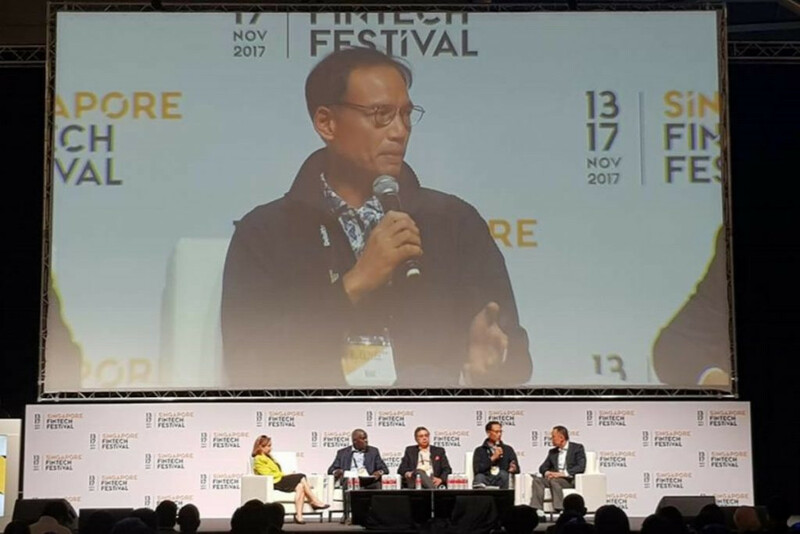 At Singapore Fintech Festival 2017, Korn Chatikavanij, Chairman of Thai Fintech Association joined one of the sessions and shared his thoughts on how Fintech has helped financial inclusion and the associated costs or risks along with Maha Bahou, Executive Manager for Payment Systems & Domestic Banking at Central Bank of Jordan, Vivek Pathak, East Asia Pacific Regional Director at IFC and Norbert Mumba, Deputy Executive Director of AFI. Korn Chatikavanij began by describing Thailand’s experience, where he noted that there is a segment of the population who are financially excluded. However, he said that the definition of financial exclusion in Thailand is not focused on having no access to bank accounts (approximately 80% of the population do have bank account access), but is instead defined as not having low-cost access to financial products such as loans, investment and insurance products. The Thai FinTech Association (TFA) was established in the past year with a mission to address this aspect of financial exclusion. Chatikavanij believes that achieving inclusion via FinTech is challenging in Thailand due to the strong and robust traditional banking system, in contrast with other jurisdictions such as Vietnam, Indonesia or China whereby consumers tend to bypass the banks and adopt FinTech directly. Vivek Pathak added details of Myanmar’s digital journey. While not as advanced as other parts of the world, he believes that financial inclusion in the country will progress quickly by virtue of the statistics of mobile smart phone penetration today, as compared to just a few years ago. How does the financial ecosystem track the surge in debt taken on by people that were previously financially excluded in a robust manner? How will the issue of data privacy be addressed? Addressing these credit scoring challenges, Maha Bahou opined that to be successful, there needs to be a collaborative approach between innovators, service providers and regulators towards the design of infrastructure and business flow. For example, Jordan has accomplished a centralised information platform which uses unconventional methodologies such as social media behaviour to develop intelligence scoring. Bahou emphasised the need for regulators to not stifle innovation as a reflex, but instead, they should stay agile and vigilant. Norbert Mumba added his perspective that regulators must realise innovation will always be ahead, therefore it is important to constantly identify the risks and allow for innovation without threatening the system. Regarding the use of Big Data and online behaviour to develop credit scores, the speakers broadly agreed that such innovation enhances the scoring process and allows broader inclusion. However, Mumba noted that while this innovation has aided financial inclusion in one aspect, it does not address the issue of lowering the cost of borrowing for the customer directly. Regulation – Is there a collaborative approach with regulators to allow FinTech to take place? Competition – Is there space for entry of non-bank companies providing similar financial services? Data security – Is there a long-term solution for this challenging topic?